As seasons change throughout the year, so do the color palettes and styles of many fashionistas’ wardrobes. An array of bathing suits and sandals gets replaced by cable-knit sweaters and Ugg boots. However, the one thing that never changes or goes out of style is metallic jewelry. Are you tired of wearing your same pair of hoop earrings to every date night, or your usual silver studs while grocery shopping? We’ve got you covered. Push your fashion boundaries this season with innovative, unique jewelry that will never get old. You don’t have to live on the golden coast to be a golden gal. 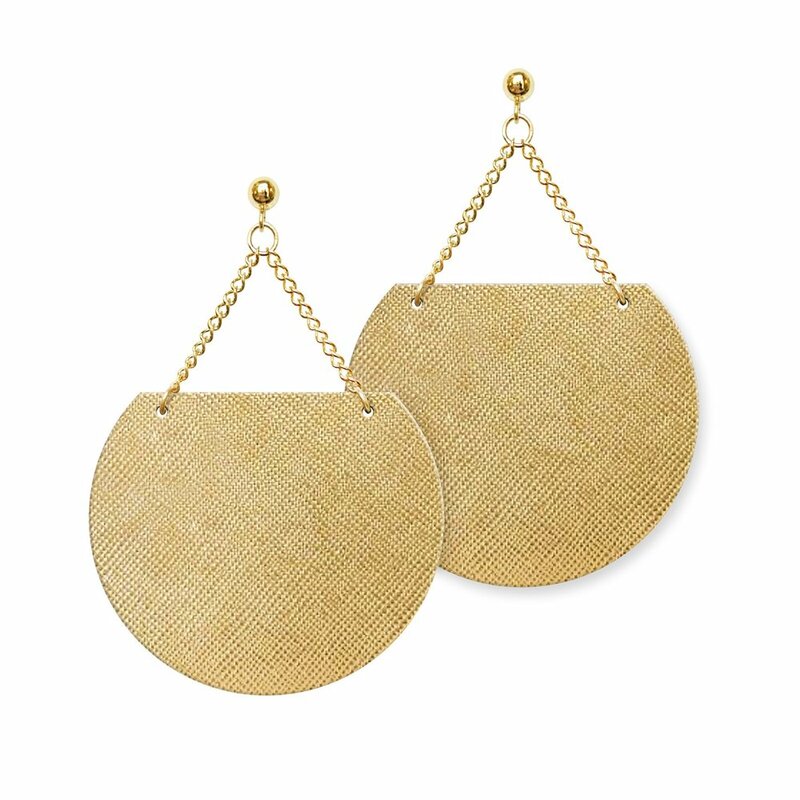 Handcrafted with quality, 14-karat gold and Italian leather, Aha Crafted’s gold Sol Leather Earrings will have you beaming in any occasion. If your jewelry collection already consists of 99 percent gold, switch it up! Try pairing a pair of Aha’s Silver Halos with a denim jacket and some booties amidst holiday shopping, or their Rose Gold Revolve Leather Earrings with a blush-colored sweater while drinking Rosé by your roaring fireplace. As winter rolls in, beauty stores stock their shelves with their infamous holiday collections. Pick up an eyeshadow palette with a few gleaming, metallic shades. Then, follow a youtube tutorial to complete a simple eye look. Once you’ve blended your pops of glitter, slide on some metallic earrings to match, and voila! You’ll positively have heads turning no matter where you are! This season is the perfect time to try out a new, metallic eye look. As the air chills, bringing fluffy snow and holiday cheer, add unique accessories to your wardrobe, or even get some for your loved ones as gifts!